Did you know that it is completely normal to lose between 50 to 100 hairs per day as part of the normal hair shedding process? It is not uncommon for people to shed more hairs than this in response to a stressful event or an illness. Excessive hair shedding is known as telogen effluvium, and it happens in people who experience certain stressors. However, hair loss is different than hair shedding; it occurs when something stops the hair from growing. This condition is known as anagen effluvium, and its causes are different than excessive hair shedding. How Does the Hair Growth Cycle Affect Hair Shedding? You have tens of thousands of hairs on your head, and each one is in a specific phase of its growth cycle. The hair growth cycle is divided into three phases: anagen, catagen, and telogen. Hair that is growing is in the anagen phase, which can last between two to eight years; these hairs are unlikely to fall out. During the catagen phase, which lasts only a few weeks, the hair is not growing and shifts into a resting phase. The final phase, called the telogen phase, can last for a few months and culminates with shedding when the old hair is dropped and replaced with new hair. Generally, up to ten percent of your hair will be in the telogen phase at any given time. For people who experience normal hair shedding, this natural cycling of hairs is not noticeable. What Causes Telogen Effluvium, or Excessive Hair Shedding? Excessive hair shedding, or telogen effluvium, is a temporary condition in which people may shed more than 100 hairs per day. This is caused by the hair shifting faster than usual through the hair growth cycle, speeding up the rate at which hairs shed. This shift can be caused by weight loss of more than twenty pounds, intense stress, changes in hormonal birth control methods, or recovery from an illness (especially if you’ve experienced a high fever). Another common cause of telogen effluvium is giving birth; new moms generally experience excessive shedding two to four months after their baby is born. In these cases, as the body returns to normal, the hair growth cycles also return to normal. Usually, hair thickness is restored within six months to a year following the event that caused the shift. What Causes Anagen Effluvium, or Hair Loss? When something stops hair from growing, hair loss occurs; this is known as anagen effluvium. There are several causes of anagen effluvium, such as genetic hair loss, chemotherapy, and other drugs, an immune system reaction, alopecia, harsh hair care products, or compulsion to pull out one’s hair. Hair loss caused by any of these will not be reversed until the cause is removed. For instance, people who undergo chemotherapy will lose their hair but then regrow it once the drug treatments have stopped. Unfortunately, not all anagen effluvium is naturally reversed. For instance, inheriting the gene for thinning hair means you will experience thinning hair or a receding hairline indefinitely. How Can I Tell if I Have Excessive Hair Shedding or Hair Loss? A visit to a dermatologist or a hair restoration surgeon can help you to determine whether you have excessive shedding or hair loss. Many people who have telogen effluvium know this based on their individual circumstances and whether the hair loss is reversed after the cause is resolved. Similarly, those with anagen effluvium may know they have hereditary hair loss or a condition such as alopecia, for instance. Sometimes you can determine whether you have excessive shedding or hair loss based on the changes you are experiencing. Generally, telogen effluvium results in a general thinning of the hair all over the scalp, while anagen effluvium can cause a receding hairline, bald patches, or thinning in one or more areas. The best way to find what can be done is to seek advice from a physician. I Know I Have Hair Loss, What Can I Do About It? Hair loss can be difficult, as it changes your appearance in a way that you probably don’t like. Whether you are a man or woman, there are likely options to help restore your hairline. We offer a range of both surgical and non-surgical solutions to your hair loss. 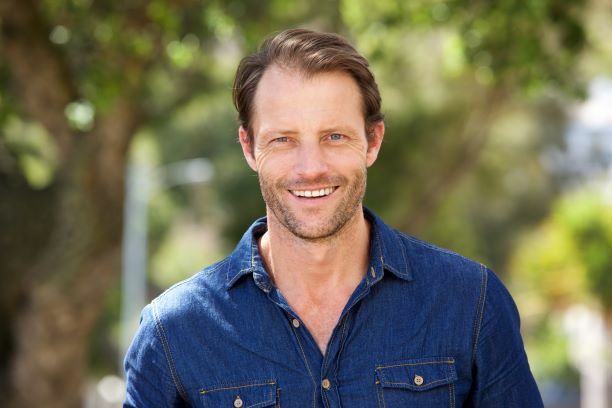 All of our patients are offered a fully-customized treatment plan to help them meet their hair restoration goals. Stop guessing and see for yourself how your appearance can be transformed through our customized hair loss treatments! Call 949.613.4247 today to schedule your personalized consultation with Dr. Varona.